The 8yo turns nine today and, thanks to staggered start dates at her school, we don’t have to rush her off into someone else’s hands on her birthday. She had a pre-visit last week and has since put on her planning hat to make sure that all would be in order for her first few days of 4th grade… including her lunches. Yes, I let her put together a menu for her first few days of lunch and do my best to acquiesce. Planning helps her make sense of her day (the more she knows, the better when treading new ground) and I get bonus mama points for meeting her requests with a yes. My only stipulation is that she fit in a protein and that she try her best to make ingredients seasonal. Bananas and carrots are our year-round concession. Growth spurts and summer always do a number on my sense of portions, so my biggest concern is making sure that she has enough food in her pack to make it through the day. I may throw in a nut and seed mix (minus the peanuts) to make sure she has a little extra something to snack on should she run out. Good luck to all that are having to get back into the swing of all things school and I hope it goes relatively smoothly. P.S. I’ll post some pix of today’s birthday adventures and a meal plan to get us through the rest of our meals later this week. If you know my daughter in the flesh, you’ll notice a slight resemblance to the pic above. indeed. 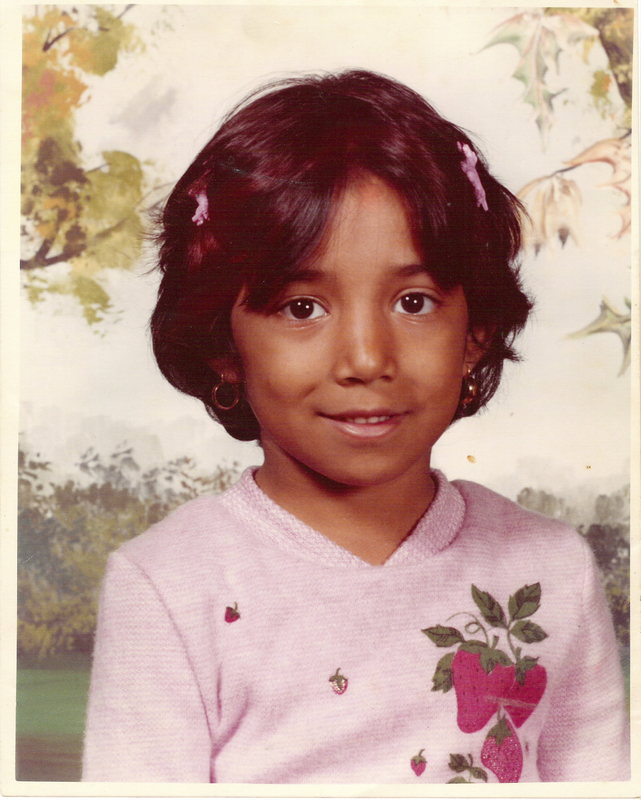 there is one of my sis with matching sweater and barrettes. ah! the 80s! holy smokes that pic is crazy!